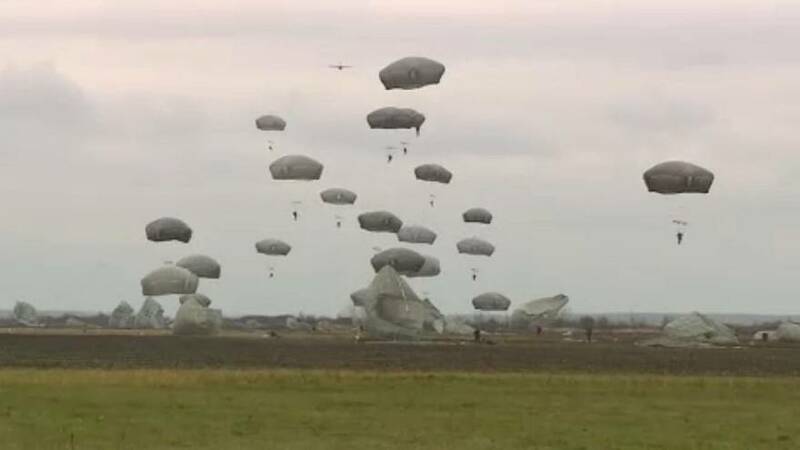 Paratroopers from the US and Serbia jumped side-by-side as part of military exercises near Belgrade. The training is seen as part of an effort to boost relations between the Balkan country and Nato. The countries have come a long way since NATO bombed the region in 1999 because of policies towards Kosovo. The alliance and the European Union are keen on closer ties with Belgrade but the exercise may raise eyebrows in Russia, which may worry over a possible NATO expansion in the Balkans. “Serbia is firmly on its EU path, Serbia is firmly preserving its position of military neutrality,” said Serbian President Aleksandar Vučić. Observers say Serbia wants to strengthen ties but without harming their Russian interests in the region. “Eighteen years after the war of Kosovo, the strategic focus of Serbia seems to be changing, even if according to the president it’s not the moment yet,” explained Euronews reporter Sergio Cantone. In 2006 Serbia joined Nato’s Partnership for Peace programme and in 2015 it signed the Individual Partnership Action Plan – the highest level of cooperation for countries not aspiring to join. The US ambassador to Serbia Kyle Scott expressed the importance of cooperation: “I think Serbia is a very influential country for stability in this region, it plays a critical role and it can be an anchor of stability in the region. So we need to continue to work with Serbia. We need to overcome the difficulties of the past,” he said. Belgrade hasn’t officially recognized Kosovo yet, but the West wants Serbia to improve its relations with Pristina. “From Pristina’s side, hopefully they are going to fulfill, they are going to implement at least something from what they signed 4 years and a half ago in Brussels in April 2013,” said the Serbian President. The Brussels Agreement of April 2013 was made between Belgrade and Pristina towards the normalisation of their relations. The EU is also a key player in this mediation.